The trips in both the Private Jet are amazing, with fantastic views of the Atlas Mountains, the lush valleys and the desert. The Private Jet can fly over the Atlas Mountains in any weather. There are 3 Private Jet available, ranging in capacity from 7 to 18 seats. 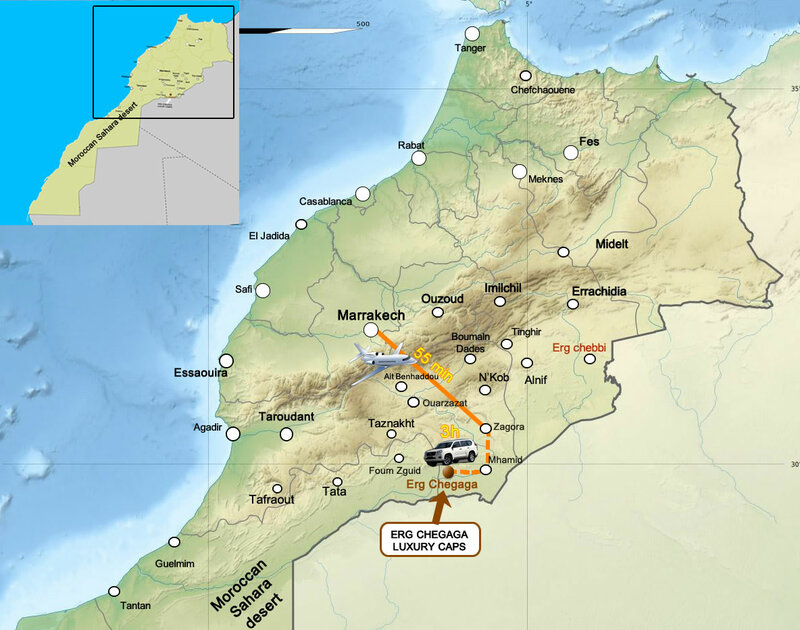 The Private Jet lands in Zagora, which is two-and-a-half hours from Erg chigaga camp.